Jan 1/14 Happy New Year to all. 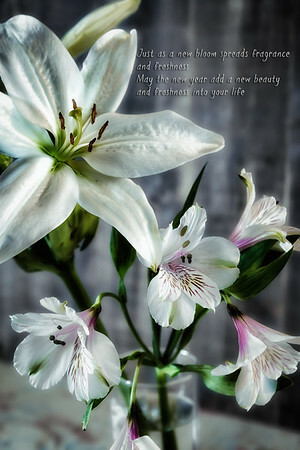 Wonderful digital card to greet the new year. Happy New Year to you and yours. Very pretty! I missed this one yesterday. Beautiful image & a really lovely card..... wishing you a very Happy New Year and all the best in 2015! Gorgeous shot! Happy New Year! Fabulous card...beautiful! Happy New Year!